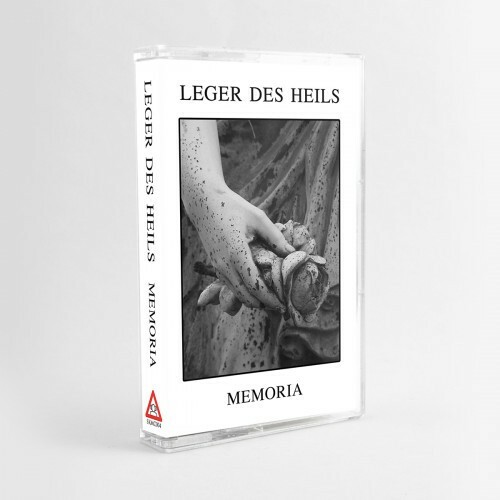 LEGER DES HEILS - Memoria MC Tape Lim50 2019 PRE-ORDER ! SHIPPING FOR ORDERS RELEASE DATE (release date): 12/05/2019 It is an advance.If the payment has arrived on time, will be dispatched on the release date.It can always happen that the release date is not complied with by the manufacturers.I ask for understanding and patience, if it should be delayed. MC Limited to 50 copies;(numbered sticker) comes as white shell tape with a professionally printed, 3-fold j-card, jewel case, all shrink-wrapped. Normal bias tape. Customer evaluation for "LEGER DES HEILS - Memoria MC Tape Lim50 2019 PRE-ORDER !"